In 2010, one year after the official end of the recession, I noted in an article for the UCLA Anderson Forecast that California’s inland counties had yet to see recovery. Each quarter since then, I have reviewed this finding, and found that the article’s title “Californillachia? A Bifurcated Economy”—remains accurate. But it is not enough to observe the economic stagnation of a significant part of California without taking a position on what, if anything, might be done about it. My answer to this question—for the one-eighth of the state’s population residing between the Yolo County line and the Tehachapi Mountains—is the following missive. Let’s talk about the D word: Depression. It is a word that evokes images of Steinbeck’s Joad family headed west with all of their belongings on U.S. Route 66. The images are easy, but economists find it difficult to define the D word except through the loose notion that it is descriptive of a very bad economic event. You, however, don’t need an economist’s definition of depression, because you are living it. Across the country, the recession took place in 2008 and 2009. But you experienced economic contraction from 2008 to 2011. During this four-year shrinkage, four of your counties—Sacramento, Merced, San Joaquin, and Stanislaus—saw gross domestic product fall by more than 6 percent. Contraction and stagnation have prevented many of your counties from recovering even 50 percent of the employment losses sustained in the downturn. This is clearly a depression. The key message of a depression is that something is structurally amiss. And when a structural problem is not corrected, it portends a long era of stagnation and impoverishment. For example, when the energy industry and environmental regulation changed in the 1960s, southern Appalachia did not address its significant dependence on coal extraction, a failure that led to a lasting economic malaise. The Appalachian experience is one that inland California should assiduously avoid. What is the origin of this depression in the Central Valley? Slowing growth in the government sector, and the transformation of manufacturing jobs to require cognitive, rather than mechanical skills, have played their roles. But these trends are not unique to Tulare, Solano, or Madera counties. They have also impacted the rapidly growing San Mateo, San Diego, and Ventura counties. What makes your region different is population growth. The inland counties have been the destination for millions of new people: economic refugees from an increasingly expensive California coast, migrants from the Rust Belt, and immigrants from abroad. In the 1990s, immigration contributed to a 2.2 percent average annual growth in county populations in the valley. Such a high rate of population growth was clearly unsustainable. But in the past decade, before you had to adjust to the slowing of immigration because of the inevitable cooling of forces that drove it, you saw another surge of people arriving in your communities, courtesy of monetary and housing policy. Low interest rates, easy mortgage qualification, overheated coastal real estate markets, and speculative building of new homes inland led to an inflated annual population growth of 1.8 percent. Why was this population growth important? Because it masked the changes in the fundamentals of your economies. These changes were unmasked in 2008, as population growth rates plummeted and an excess of homes put the construction sector—which once accounted for as much as 8 percent of jobs in the Central Valley—into a long-term slump. So it is no surprise that many of the jobs you lost during the depression are gone for good. Creative solutions could end this depression sooner rather than later. But the oft-heard recommendations to reduce regulations and try to “bring manufacturing back” are not great solutions; manufacturing today is robotic-intensive, not labor-intensive, and growth through polluting industry is never good economic policy. Land-use policy to induce more construction is also a dead-end, since the population growth waves of the ’70s, ’80s, and ’90s are over. So please permit me to make four suggestions of how to create a vibrant future for your important region of the Golden State. First, consider the potential of education, a key growth sector in the new information economy. There is more demand for higher education worldwide than there is supply—and that demand will only increase. California is already a magnet for out-of-state and out-of-country students. Your region has four California State University campuses and two University of California campuses. Each of these schools could expand to 50,000 students or more, and 80 percent of the new enrollment could be made up of non-resident students who pay full tuition. This would bring in more than 200,000 new students; good jobs in teaching, administration, and support activity; $20 billion or more in new regional income; and spinoff benefits in innovation, entrepreneurship, and culture. Second, much has been made of California high-speed rail as a new engine of growth that will connect inland cities with coastal cities and expand market opportunities. As the dust settles, it is clear this is not the case. Fresno does not need to be more connected with San Francisco, nor does Bakersfield need a closer connection with Los Angeles. They are already economically close to each other. But every city in the Central Valley would greatly benefit from connection to the people and markets of vibrant Pacific Rim cities such as Tokyo, Shanghai, Singapore, and Guangzhou. A new 21st-century airport for California (as discussed in the UCLA publication California Policy Options) would do the job. And such an airport—if strategically placed and linked with high-speed rail—could generate the kind of economic boom that the U.S. Interstate Highway System did in the ’60s and ’70s. The Central Valley does not need to wait until 2030 to do this. Japan and China built their high-speed rail lines in five years. Given the political will, there is no reason why a new international airport and high-speed rail through the Valley could not be in operation by 2021. Third, California has always marketed its weather and lifestyle to snowbound Easterners. 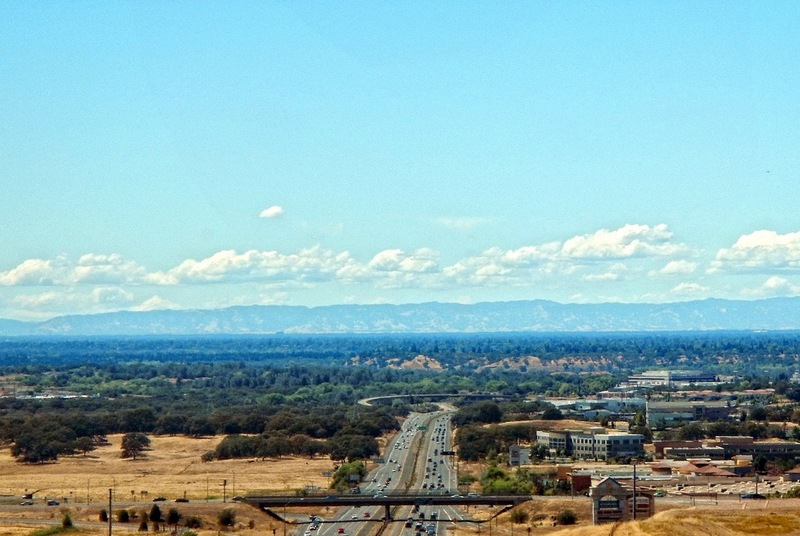 It is something of a mystery to me why the Central Valley has not exploited its meteorological advantages, particularly now, when a record number of Boomers are preparing to retire from jobs in weather-challenged parts of the country. Of course, to be attractive to retirees, the Valley needs to develop infrastructure to support active seniors, from improved health care facilities to a workforce trained in senior care. Such investments are relatively low risk, and the attractions of living in the valley are clear (especially during the polar vortex)—day-tripping to the Sierra or Carmel, year-round golf, and matinees in San Francisco (here the high-speed rail figures again). Boomers moving to California rather than Florida will bring new spending, good jobs, and economic vitality. Combined with enhanced mountain resort facilities for tourism, there will be new economic engines in place. My fourth and last suggestion involves that much-discussed source of natural gas: the Monterey Shale. The wild claims of the energy industry notwithstanding, exploitation of this resource may result in an economic boom. But it is important to remember that once the drilling is done, pumping wells will generate considerable income—but not too many jobs. So it’s important to maximize the economic impact by keeping crude and gas right here in California for processing, and by locating more refining and chemical industries in the Valley, where the oil comes out of the ground. Appalachia addressed its depression by looking inward—blaming coal policy, big government, environmentalists, and whomever else for slow growth and a lack of good jobs. Your counties can adopt the same strategy and go down into the same hole by blaming Sacramento for taxation, land-use policy, and environmental and business regulation. If you do that, you can expect a similar outcome. Or, you can look outward to link yourselves to the world economy and create new wealth and new economic engines. The California Dream has always been to take the latter approach. Jerry Nickelsburg is adjunct professor of economics and senior economist at the UCLA Anderson School of Management. *Photo courtesy of Stuart Rankin.